Most Popular Frequently Asked Questions. A business cash advance is a short term (typically 4 to 12 months) financing solution based on purchasing your future sale receivables. 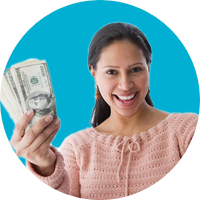 The business cash advance can be used for any business purpose. Businesses can get cash advance amounts ranging from $2500 to $500,000, depending on monthly revenue, credit history and business performance. Minimum requirements for qualification are at least 6 months in business and a steady monthly cash flow or at least $5000 in monthly revenue. What do I need when applying? In addition, we may need the following depending on the amount of the business cash advance offered or requested. Business owners can apply now online or call us at 800-821-6460. You'll know within 24 hours after submitting a signed application and financial statements whether you qualify and how much capital you're eligible to receive. No. Our quotes and application process are completely free. What type of businesses does Business Capital USA work with? We worked with all types of industries and businesses across the United States. What is the cost of a business cash advance? We charge a simple "factoring rate" based on the amount of funding, the term and the financial strength of your business. Does my personal credit score matter? We look at your business performance, not just your personal credit, to get you approved and qualified for up to $500,000. The funds can be deposited into your business checking account in as little as 24 hours or up to 3 business days after approval. Payments are automatically deducted from your business checking account each business day. Our business owners find that daily repayment is easier on their cash flow and simpler to manage.